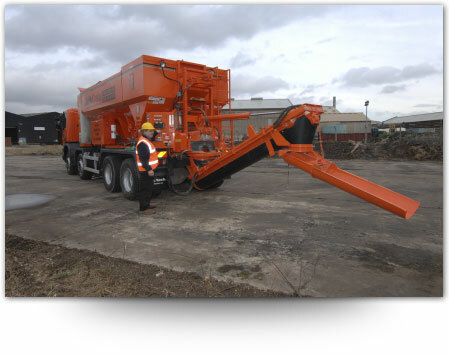 the latest technology in concrete deliveries . We bring the plant to you. It mixes what you want when you what and how you want it. We have been in the business for 25 years and truly are .... ‘The Worlds Friendliest Concrete Company’. 4. We provide instantaneous mix design change. This means you can change mix strengths on site for different jobs from the same mixer load. 8. We have flood lights for night work. We will deliver 24/7 by arrangement. 9. Our Products and service eliminate waste, less down time, more efficiency and environmental friendly. 11. One more... because we always add value… We provide a ‘Collect your own service’. Call to our site with your own van or trailer and we will produce a ‘bucket load’ if that’s all you require.